Taxpayer subsidized StateImpact Pennsylvania, run by NPR station WITF with help from WHYY and fractivist funders, is lobbying for taxes on gas pipelines. StateImpact Pennsylvania is, as we have explained here several times, is little more than a fractivist group masquerading as a journalistic outfit. It is financed by the Heinz Endowments and the William Penn Foundation which, between them, have funded every conceivable anti-fracking initiative throughout the Commonwealth. Promoted as the collaboration of two “public broadcasting” stations, WITF Harrisburg and WHYY Philadelphia, it operates under the legal umbrella of WITF (at least that’s where the donations go), which is, theoretically, a tax-exempt charity. It is, therefore, twice subsidized by taxpayers; once through direct Federal support for public broadcasting and again by the exemptions from taxation for donations to it. Unfortunately, this has not prevented StateImpact from engaging in lobbying of elected officials in yet another case of tax-exempt abuse. WITF also checked the box (Part IV – 4) to indicate it does some lobbying but then filed a nearly blank Schedule C suggesting it spent no money on this activity other to grant $9,050 to another organization that lobbies for continued Federal financial support for public broadcasting (talk about a vicious cycle). There’s no indication of WITF itself doing any lobbying beyond that. So, pray tell, how does this happen? What in the world is WITF, a/k/a StateImpact Pennsylvania, doing directly advocating for taxes on the natural gas industry and consumers by addressing themselves to local officials? Unfortunately, the only surprise here is that someone at StateImpact Pennsylvania let their guard down and crossed over from barely-hidden advocacy to the outspoken form. It reveals the truth about StateImpact Pennsylvania – it is simply another arm of the H & H Hydra, the Heinz and Haas family monster that controls so much of Pennsylvania, from its media to its government. When is some enterprising journalist looking to earn a Pulitzer Prize for old-fashioned investigative journalism going to have the cojones to take on the H & H Hydra and expose the stranglehold this ruling class beast has on Pennsylvania? When is someone to demand an IRS investigation of this rampant tax-exempt abuse by a multitude of organizations using the cover of charities to engage in what is nothing more than politics? 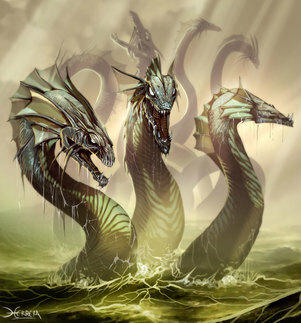 The Heinz & Haas Hydra? Need more evidence? Well, check out this latest report from StateImpact Pennsylvania, which makes an incredibly shallow and feeble attempt to denigrate the EPA fracking study by citing, at length, Carol Collier, the former DRBC Executive Director. This is the same Collier who, while at DRBC, sold her soul to the same William Penn Foundation that funds State Impact Pennsylvania. Upon leaving, she was rewarded with a plum appointment to the Foundation Board of Directors and a cushy job at the Academy of Natural Sciences in Philadelphia where the Foundation controls most of the pursestrings. StateImpact Pennsylvania asking Carol Collier to opine on the EPA fracking study is like asking your favorite sister what she thinks of the girlfriend who jilted you. Editorial partnerships expand our capacity to serve and the perspectives we can share with our audiences. 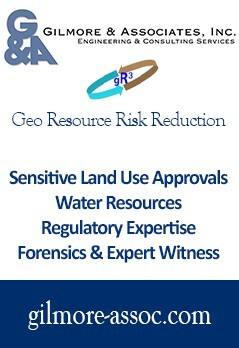 They enhance the timeliness and relevance of our programming and activities. The actions of our employees, even when “off the clock,” affect public trust in our integrity, credibility, and impartiality. We expect employees to strive for congruency in their personal and professional lives. Yeah, right. 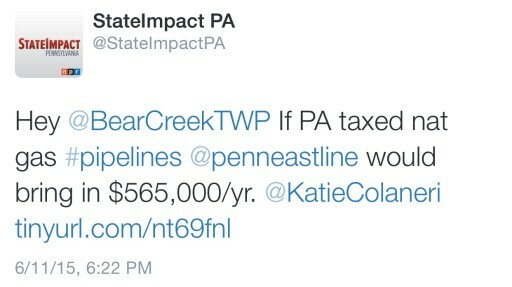 StateImpact Pennsylvania is non-profit journalism gone bad. The headline works for non-profit and for- profit alike. There are too many instances of totally awful journalism (not just biased one way or another but often wildly inaccurate as well) when it comes to natural gas right now.